The M41A Pulse Rifle from Aliens is one of my favorite sci-fi weapons. Jim Cameron's design paired with Simon Atherton's prop making skills made for a perfect combination of futuristic and plausibility, you just buy it. 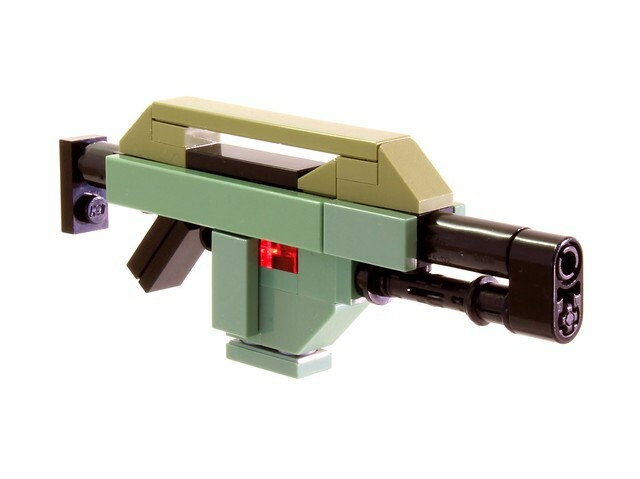 Builder Missing Brick has assembled one of the smallest, cutest (if a badass military weapon can be cute) versions I've ever seen, with startling accuracy for it's scale. I just wanna pick it up and go "pew pew".